Copyright © 2018 Israel News Agency All rights reserved. Jerusalem, Israel — March 11, 2019 … The AIPAC Policy Conference is the largest gathering of America’s pro-Israel community, and will be held this year March 24-26 at the Walter E. Washington Convention Center in Washington, D.C. Through demonstrations of groundbreaking Israeli innovations, keynote speeches by American and Israeli leaders, inspiring moments on stage and intimate educational sessions, AIPAC Policy conference delegates will experience the full scale of pro-Israel activism in three days. The conference culminates with the delegates’ lobbying their members of Congress in support of legislation that enhances the relationship between the US and Israel. “This is the biggest and best pro-Israel event this year,” said Joel Leyden, publisher of the Israel News Agency. 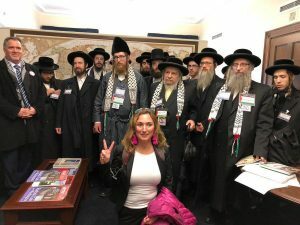 In what Israel proudly maintains as a historic first and a sign of the settlement movement’s growing acceptance among US Jewry, AIPAC has invited a representative of the YESHA Council to speak at its annual foreign policy forum in Washington DC later this month. 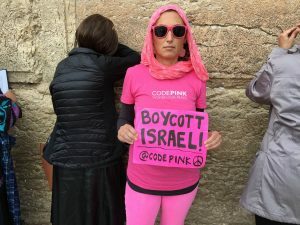 “AIPAC has finally realized that they cannot ignore half-a-million people living in Israel’s biblical Judea and Samaria, who are becoming more and more attractive to the audience of AIPAC,” Revivi said. Prime Minister Netanyahu will address the American Israel Public Affairs Committee conference two weeks before the Israeli elections, and will likely use the opportunity to meet with President Donald Trump, who is expected to release his peace plan for the Middle East shortly after the elections. 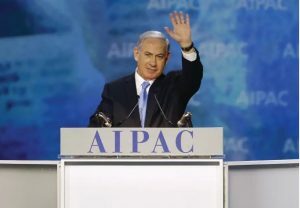 Netanyahu arrives at AIPAC after a rare comment on internal Israeli politics, as AIPAC and the AJC, condemned the recent merger deal between the Jewish Home party with the extremist Otzma Yehudit party. The deal could see the entrance of at least one lawmaker from the party of Meir Kahane’s disciples into the 21st Knesset after the April elections. Those who understand the Israeli electoral process and know Netanyahu are aware that this merger was created for votes to assure that no Left wing threat emerges against Israel’s security. 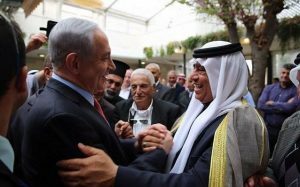 Netanyahu has assured Israeli Arabs that the status quo will remain and that the extreme right wing votes will not translate into policy. 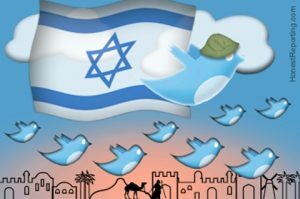 AIPAC stressed the importance of the relationship between the United States and Israel in a statement on Twitter. “America’s partnership with Israel is a pillar of our foreign policy. A strong US-Israel relationship advances American values, safety, security and economic prosperity. Israeli innovations keep our troops safer and our environment cleaner,” said AIPAC. “Those who work to promote the US-Israel relationship do so because it is in America’s best interest. And because an America that is engaged in the world – promoting our values, standing by our friends, and partnering to confront threats – is essential for a brighter future,” said the organization. In two weeks, more than 18,000 Americans from 50 states will gather in D.C. to celebrate and promote the US-Israel alliance. They will come together determined, motivated and passionate about AIPAC’s critical mission and bipartisan advocacy. 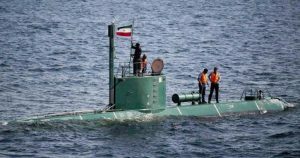 The Conference takes place after Iran has inaugurated a new domestically-built submarine armed with cruise missiles. Iran has developed a large domestic arms industry. Last year, Iran’s navy launched a domestically-built destroyer, which state media said has radar-evading stealth properties. Iran says it has missiles with a range of up to 2,000 km. (1,250 miles), which puts Israel and US military bases in the region within its reach. Jerusalem, Israel — February 19, 2019 … After a night of drinks in the small town of Holon, just south of Tel Aviv, came a fascinating, romantic idea by three young Israelis: launch a spacecraft and land it on the moon. Yonatan Winetraub, Yariv Bash and Kfir Damari – were at a bar enjoying a few hours of friendly chat. They made for an interesting and enlightened mix: a space engineer, a cyber security expert and a drone maker. 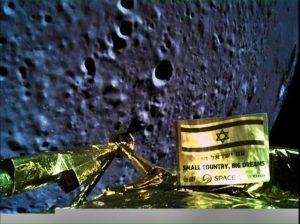 One decade later, their dreams of space flight – of a spacecraft being launched from the earth to the moon bearing the Israeli flag is becoming a reality. Their spacecraft, Beresheet (Hebrew for Genesis) will aim for the moon on February 22 as it lifts off from the Kennedy Space Center in Florida. The star trek adventure will make Israel only the fourth country to ever successfully land on the moon – after the U.S, Russia and China. In addition, it will mark the first-ever privately funded trip (not paid for by a government) to land on the lunar surface. initiative, rather than a government. Beresheet is the smallest spacecraft by weight. billions of dollars in similar projects. spacecraft on the moon Russia (1966), USA (1969), and China (2013). 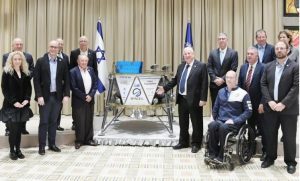 “Eight years ago we ventured on this journey that is now nearing completion in about two months when we land on the moon,” said Morris Kahn, president of SpaceIL. 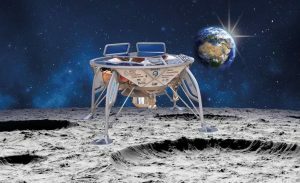 The SpaceIL and IAI partnership said that the launch of the Israeli spacecraft “Beresheet” will take place on February 22, 2019. The night between Thursday and Friday at around 03:45 a.m Israel time. (US East coast time 21/2/19 around 20:45). First, the launch is fraught with risks in and of itself. Second, locating the spacecraft and contacting it over the vast distance to the moon is very intricate. Third, the spacecraft’s durability under extreme conditions in space, complex navigation (without a GPS) etc. Fourth, the Moon Capture Point, where the spacecraft must switch from Earth’s orbits to orbit the moon. To perform this switch, the spacecraft must reach the right location at the right time and at the right speed and direction so that a braking maneuver will enable the moon’s gravitation to capture it. The final challenge is the most difficult – the landing on the moon. spacecraft will raise its orbit around Earth until it reaches the proximity of the moon. until the appropriate time and an autonomous landing process will begin. The route will take about two months until the expected landing on April 11, 2019. The adventure started to mature a few years ago as the young entrepreneurs Yariv Bash, Kfir Damari and Yehonatan Weintraub enrolled in Google Lunar XPRIZE Challenge. The competition ended without a winner in March 2018. However SpaceIL, announced that it would continue working on its mission. opens many opportunities for it. It will promote scientific education of the next generation: since its foundation, the NGO met with over one million students throughout the country. It will advance and promote science and research. It would open a new horizon for the Israeli economy thanks to its engineering knowledge and advanced development capabilities. The success of Beresheet is a symbol of Israel’s success in these and other fields. What does Beresheet look like? spacecraft, and will assist in communicating the spacecraft on the moon. the years to be placed on the moon by the spacecraft. The time capsule will remain on the Moon even after the mission is completed. Over the years, additional partners have been added from the private sector, government and academia. The most prominent of them are the Weizmann Institute of Science, the Israeli Space Agency, the Ministry of Science and Technology, Bezeq and others. million of the project and in his role as president of SpaceIL. 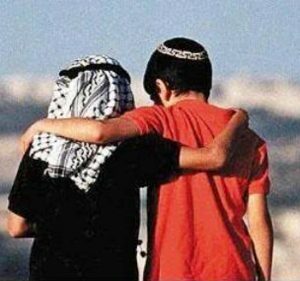 Jerusalem, Israel — January 4, 2019 … The Israel News Agency, one of the first English news sites on the Internet (1995), is proud to list those Jews who have the greatest, most far reaching and positive impact on Israel’s online image. Of all the media channels, Twitter is by far the most powerful media outlet as it directly reaches global business and political leaders, the media and the public. @Ostrov_A – Arsen Ostrovsky – International Lawyer and Political Analyst – among the most knowledgeable and aggressive. Not afraid to confront, correct – from the UN, Iran, PA, Hamas, IfNotNow, Jewish Voice for Peace to the many fake accounts created in Iran. 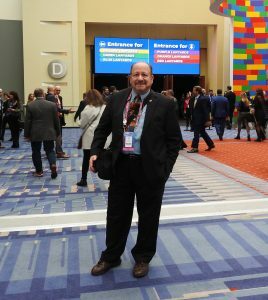 @Daroff – William Daroff – Senior Vice President for Public Policy and Director of the Washington office of The Jewish Federations of North America. Creates and RT more Jewish content than most Jewish Twitter cyber warriors. Daroff’s news feed makes the AP and Reuters appear small. @IsraelMFA – Official channel of Israel’s Ministry of Foreign Affairs (MFA). Maintained by the Digital Diplomacy Team. 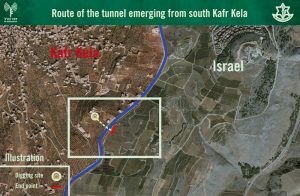 @IDF – Israel Defense Forces – If it affects Israel’s security – you will find it here – unless the operation remains secret or classified. @EmmanuelNahshon – Emmanuel Nahshon – Israel’s Foreign Ministry Spokesman. Gets Israel’s message out and provides powerful digital cover for many Jewish cyber warriors. @LTCJonathan – Jonathan Conricus – Head of International Media Branch at IDF. Knowledge of Israel and the United Nations almost unmatched. 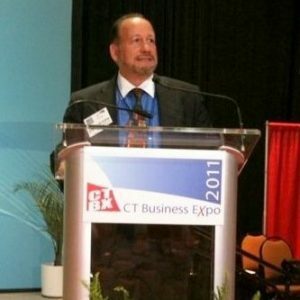 @LTCPeterLerner – LTC (R) Peter Lerner – Consultant, crisis, communications, speaker and tweeter. Retired IDF spokesperson and head of social media. Excellent analysis on current events. @sfrantzman – Seth Frantzman – Oped Editor – Jerusalem Post, researcher, photog., Phd, MidEast, Dir. MidEast_Center. Has bylines at TheNatlInterest, NRO, spectator – Perhaps one of the most knowledgeable, Jewish journalists reporting on the Middle East. He has the details. @joelleyden – Joel Leyden – Entrepreneur, Journalist, Intl Media, Crisis Comm, Social Media Pioneer, Public Affairs, Branding, Web Marketing, SEO, Reputation PR, IDF Vet. Co-Created Israel’s first commercial Website, co-created the IDF cyber unit, publisher of the Israel News Agency, Jewish News Agency. Consults IDF and MFA. @michaeldickson – Michael Dickson – One of Israel’s most experienced advocacy professionals. Executive Director – StandWithUs. Michael represents the future of online digital PR for Israel. Has the facts, soundbytes – tireless Jewish PR advocate from whom many can learn from. @dannydanon – Ambassador Danny Danon – Israel’s Permanent Representative to the UN – Not afraid to call it as it is. Fearless diplomat both on and off line. @IAFsite – Israeli Air Force – The Israeli Air Force’s Official Twitter Account: exclusive, live updates and real-time information about the IAF. @netanyahu – Benjamin Netanyahu – Prime Minister of Israel, Chairman of the Likud Party. Is there an Israeli Prime Minister who has more experience? Bibi provides for Israel’s security from both the heart and the mind. A Jewish leader that makes us proud. @AviMayer – Avi Mayer – Assistant Executive Director, AJC Global. Previously: Jewish Agency for Israel, IDF Spokesperson. @DavidHarrisAJC – David Harris – CEO, American Jewish Committee (AJC) – An American Jewish leader who places Jewish life above politics. A man who has stood and stands with the Jewish nation in the most courageous, intelligent manner. @SachaDratwa – Sacha Rojtman Dratwa – Digital Advocacy at World Jewish Congress. Former Head of the digital media unit for the Israeli army. One of the most professional, potent digital PR assets in the global Jewish community. @HonestReporting – HonestReporting – Defending Israel from media bias. Promoting fairness and accuracy, effecting change in media coverage of Israel. RT, follows do not constitute endorsement. 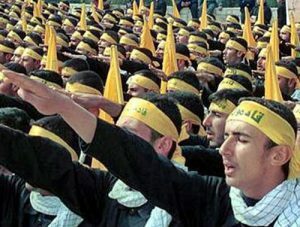 @canarymission – Canary Mission – Exposing hatred and anti-Semitism on college campuses and beyond. If you’re racist, the world should know. @HananyaNaftali – Hananya Naftali – One of the most powerful Israeli voices on Twitter reaching the global Christian community. A proud, diligent IDF reservist who fights hard online for Israel. Addresses the Middle East conflict 24/7. @HillelNeuer – Hillel Neuer – Intelligent, dedicated – taking on anti-Israel propaganda, anti-semitism and global racism both off and online. Fights dictatorships and double standards. Human rights activist, international lawyer, writer. Executive Director of United Nations Watch. @AvitalLeibovich – Avital Leibovich – Director of AJC Israel Office. Former IDF Spokesperson and Social Media expert,served 22 yrs, Lt Col (res.). One of Israel’s most powerful assets. @Yair_Rosenberg – Yair Rosenberg – Senior writer, @tabletmag. Teller of stories, troller of Nazis. Politics, religion, culture. One of most intelligent, articulate cyber warriors defending the Jewish nation. He spits out Neo-Nazis like watermellon seeds.